—Betámia Coronel, 350.orgStringer announced last month that he would soon bring a proposal to the trustees of the pension funds that included divestment. Following through on that promise, a statement from the city released Wednesday says that he and Mayor Bill de Blasio “will submit a joint resolution to pension fund trustees” to begin the steps needed to purge the funds from the dirty industry, which will first entail an analysis on the financial impacts to be carried out by the City Comptroller’s Bureau of Asset Management. 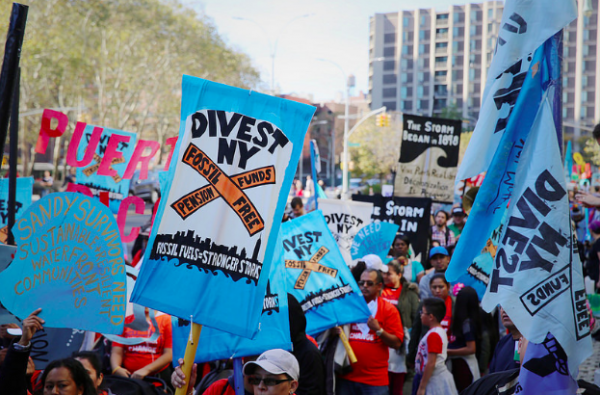 BREAKING: NYC will divest its $191B pension funds from fossil fuels and today will announce lawsuit for damages from climate change!
? Are You On the Right Path? 10 Signs You Are And Don’t Know It Instagram Artists Shows The Power Of Spirit Animals, Love And Spiritual Connection ?